The Sanctuary of Machu Picchu is one of the most popular destination for thousands of people from all over the world. This place have so many cultural, historical, natural charms and many more; reasons why it has become the ultimate destination for many travelers. Preference that is reflected in surveys of different entities related to the world of travelers, among them are, Tripadvisor, National Geographic, UNESCO, Lonely Planet. The second edition of Attractions Travelers Choice Attractions Awards in June 2014, announced the top 10 historical monuments in the world, where the Inca city of Machu Picchu of the fifteenth century was named as the Nº 1 as the best Historical Monument of the Planet. Likewise, users of TripAdvisor, chose the best scenery in the world for 2015, chosen according to the quality and quantity of positive feedback obtained by travelers who form their community. Which voted for the enigmatic Inca City in Peru as the most Famous Archaeological Site in South America and the second in the list of the 25 most beautiful landscapes in the world. The Historic Sanctuary of Machu Picchu, which dates from the fifteenth century, could be the most impressive structure of the Inca empire that is still standing. Reason by which hundreds of thousands of people decide to visit this wonder every year. A study on the impact of global visits to protected areas, (Walk on the Wild Side: Estimating the Global Magnitude of Visits to Protected Areas) which was published in PLOS Biology (open access journal quite influential), places the Historic Sanctuary of Machu Picchu within twelve most visited national parks in the world, which receives 691,000 visits per year for tourists, who look for contact with nature background. The authors of such study collected data on 556 national parks and nature reserves around the world, to calculate the number of tourists who choose to visit these protected areas, making them the most popular in the world, attracting every year more than 8,000 million people. The renowned National Geographic magazine in this 2015, considers to Machu Picchu in the list of the top 10 destinations in the summer; the magazine has more than 8 million readers, prominently. The luxury VeryFirstTo.com website released a trip 990.00 pounds ($ 1.5 million); It was a luxury expedition by 962 sites declared World Heritage by UNESCO. Since then, UNESCO has added other sites to your list, so now the total to over 1,000. This was promoted as one of the world’s most expensive vacations, within these, only the sites of "outstanding universal value", appear on the list of the 20 sites most beautiful, which in turn are a World Heritage Site. Acrópolis – Dionysus Theater. Grecia. Lonely Planet published the definitive guide to the 500 best places to visit in the land, on which Machu Picchu in Peru, ranked third on the list. Others who are in the top 20 are the Colosseum, the Hagia Sophia mosque in Istanbul and the coastal rock formations of the Twelve Apostles in Australia. "While it has taken years to develop this book, meets the most captivating places in the world," says Tom Hall, editor of Lonely Planet. You will agree with us that this is a very good presentation, and while everyone has their list of places you need to know. 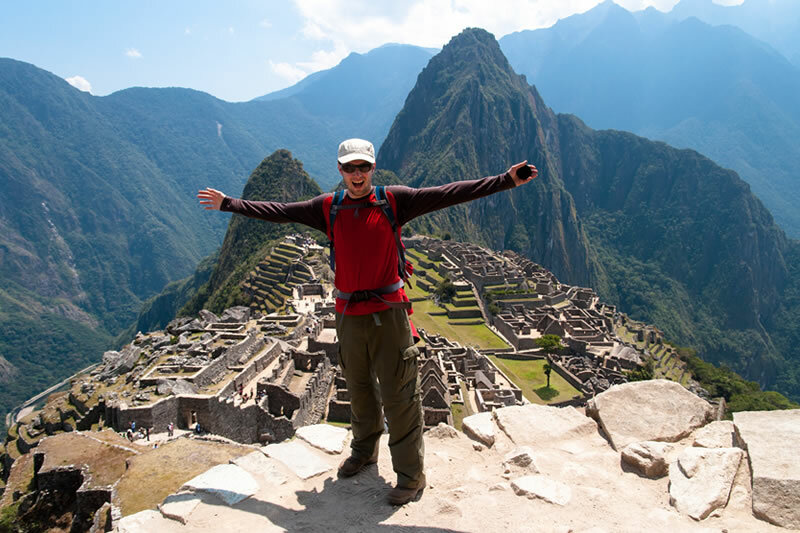 You will agree with us that what makes a place special is different for each who, but if you know, one of the best places in the world, visit Machu Picchu. In addition, you will visit in Peru, chosen as Best Gastronomic Destination of the World. The imperial city of Cusco was chosen for the portal American U.S. News & World Report, in its Ranking & Advice (April 2015) as the "Best Place to Visit" in addition "Destino More Affordable" on this side of the continent (Central and South America), above cities like Buenos Aires and Rio de Janeiro. The US News & World Report publishes rankings and analysis on various topics, which are consulted by about 214 million people in the United States. These rankings are made each year based on expert opinion, and mainly online voting of its members, who determine the best destinations around the world in several categories. With a work that began in the 80s, it is especially known for drawing up lists that are used as reference by millions of people.